I'm not all too familiar with Southern or Latin American cuisine and I've always wanted to try them. Of course I want to try the authentic ones if I ever get the chance to travel the Latin Americas in the future. 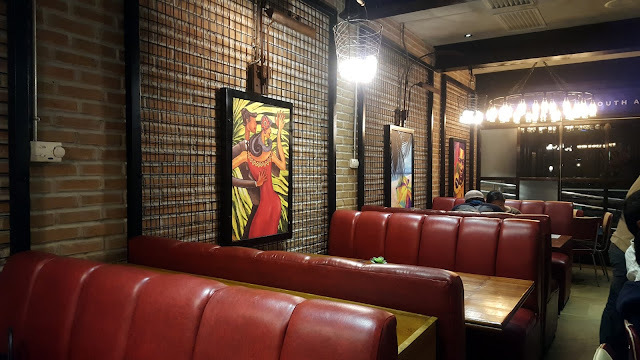 As for now, I am glad that there are places in Manila I can go to to enjoy the said cuisines for now. 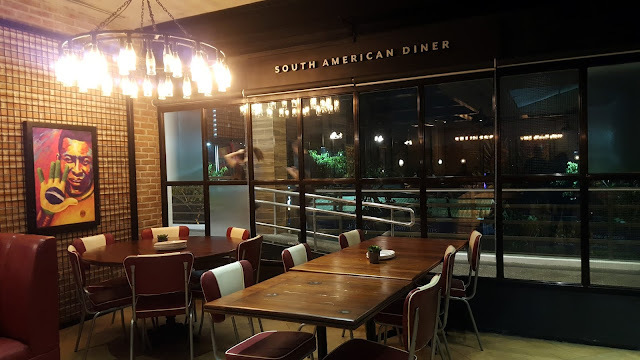 One of them is fairly new in the game: Naxional South American Diner but is already making a buzz among foodies and food enthusiasts. 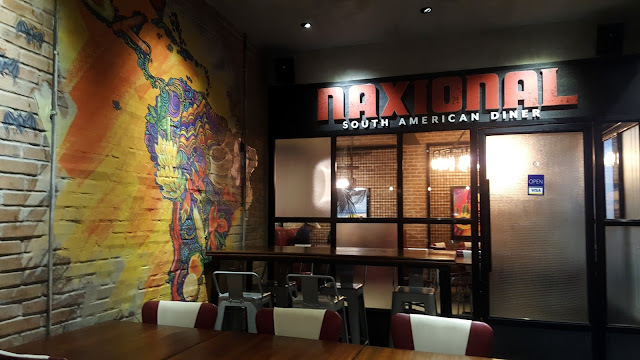 Since the moment I've heard about Naxional, I already want to try it. And finally I am able to a few weekends ago. Naxional is the newest go-to restaurant for those looking to broaden their culinary horizons. Naxional brings the heart of South America to Manila. Heavily inspired by the most-loved dishes South American locals enjoy every day, Naxional’s menu is filled with authentic, traditional family recipes cooked using both local and imported spices and seasonings. Their food is born out of the owners' collective passion for its different countries, and heavily inspired by home cooking and traditional family recipes. 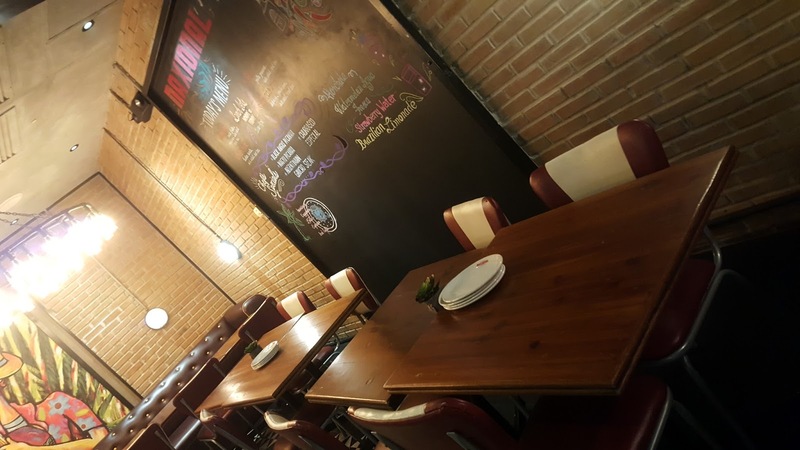 The Naxional team has partners who hail from the region and grew up with its flavors, and some who have traveled the region and fallen in love with it. The place's interior is dimly for a cozy atmosphere. 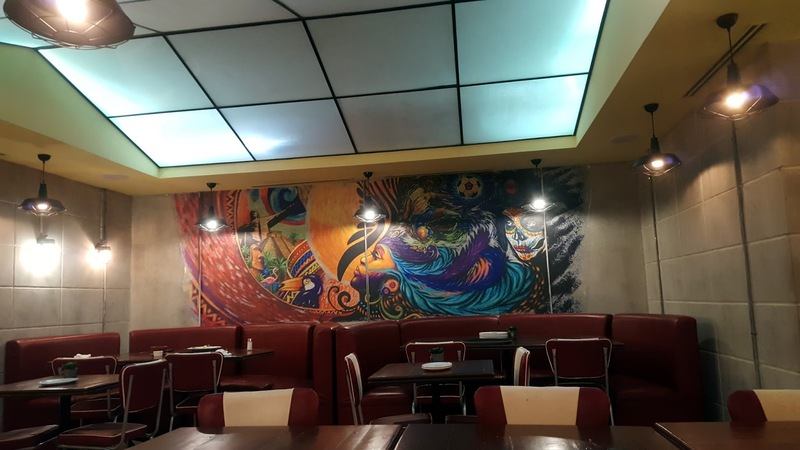 The walls are studded with murals and paintings that represents the countries of South America and its culture. 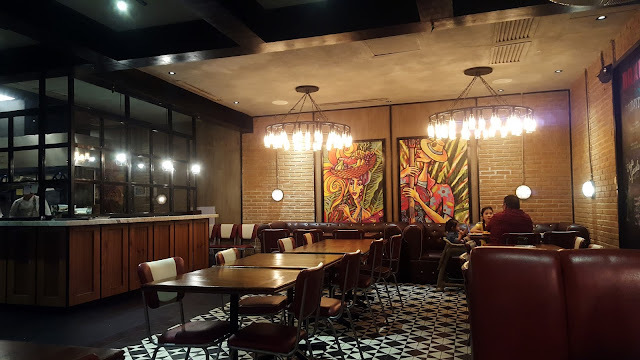 Plush leather couches/cubicles line the walls and tables with leather-upholstered seats occupy the other spaces which totally gives you that "diner" feels. 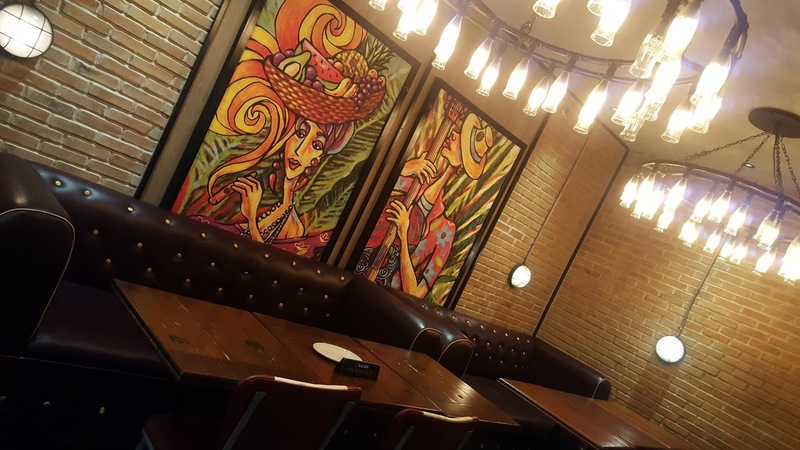 Almost every area of this restaurant is Instagram-worthy. While waiting for our orders, I can't help but roam around and take photos, yes for my blog, Instagram and IG stories. We were assigned with one server who explained to us what are the dishes made of. Because we don't know most of the names of the dishes. 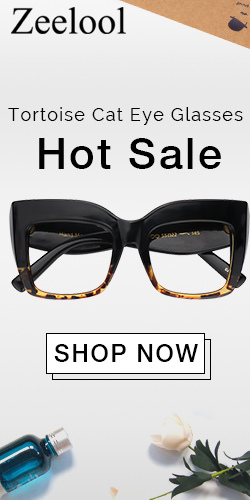 The server also pointed to us their best sellers. 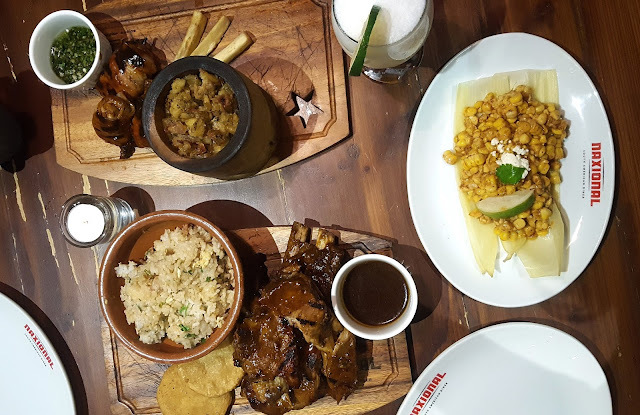 The dishes by the way, doesn't come from one region but mostly the well-loved or popular ones from each South American countries. 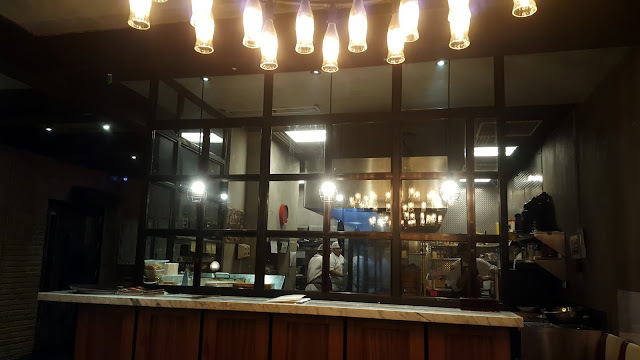 We ordered our main meals from their Carnes which are open-fire pit grilled meats that come with your choice of 2 side dishes. 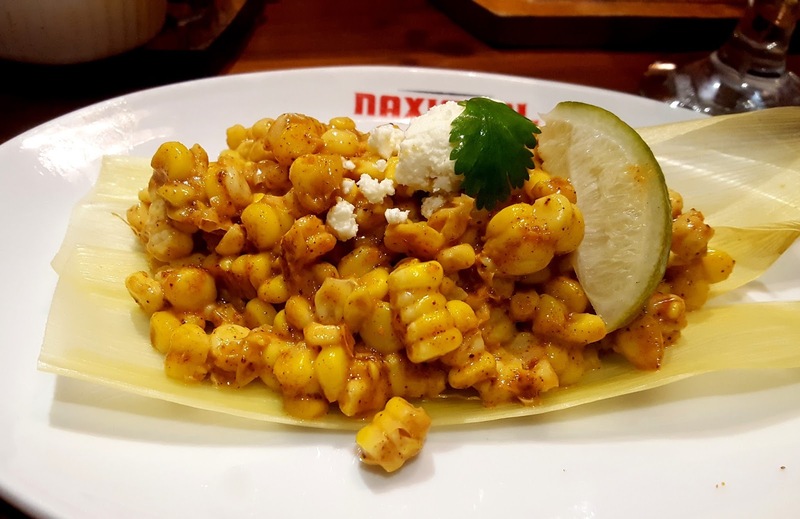 Here are what we ordered: Elote (Mexico) - a common dish in the Latin Americas made of grilled corn on the cob. Chargrilled sweet corn/chili butter/mayo Lime and crumbled cheese. I like corn but I don't like biting the kernels off the cob because some of them gets stuck between my teeth. So I asked the server to have them shredded. The Elote was then served in a plate already mixed with the spices and sauces. It was good but I wish that it had more of that crumble cheese. Bacon-Wrapped Pollo - grilled chicken thigh fillet wrapped with thick-cut bacon with citrus guava and BBQ sauce. We ordered Yuca Fritas and Mofongo with this. Yuca Fritas are deep fried cassava roots just like French fries. 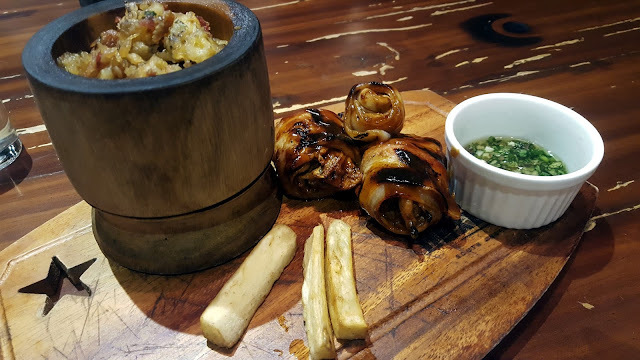 Mofongo is a Puerto Rican dish composed of fried plantains then mashed with salt, garlic and oil in a wooden mortar and pestle and either mixed with pork cracklings (chicharon) or bits of bacon. The chicken wrapped with bacon was very rich in flavor. I liked it so much, I hoped that there is more in the serving like 2 more pieces hehe. The mofongo is by far my favorite of all the side dishes, it was sweet and the pork added more texture to it. The Yuca Fritas were so-so and quite dry and were only 3 pieces. Either way the mofongo made up for it. Chipotle BBQ Ribs - slow cooked pork spare ribs with citrus guava and BBQ Chipotle sauce. 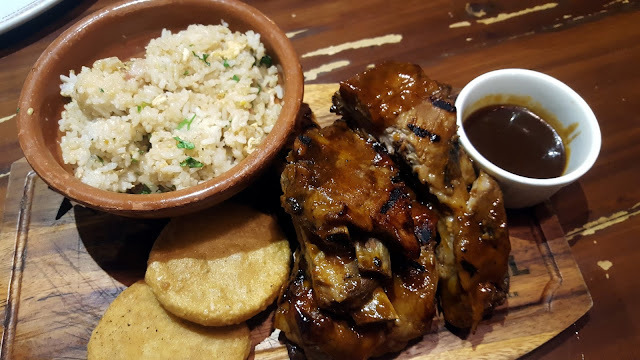 For this dish we ordered it with Fresh Corn Arepas and Brazilian Fried Rice. Fresh Corn Arepas are flat, round, unleavened patty of soaked, ground kernels of maize (corn) that can be grilled, baked, fried, boiled or steamed. Brazilian Fried Rice is rice seasoned onions and garlic, usually it is fried in oil with minced onion and garlic before adding water. The ribs were awesome, tender, smoky and very tasty. The serving was very generous too, this can already feed two people. I wasn't a fan of the Fresh Corn Arepas and Brazilian Fried Rice. For the Brazilian rice, it had a little bit too much of cilantro which kinda put me off. As for the arepas, it had an after-taste that I honestly didn't like, maybe it's an acquired taste. 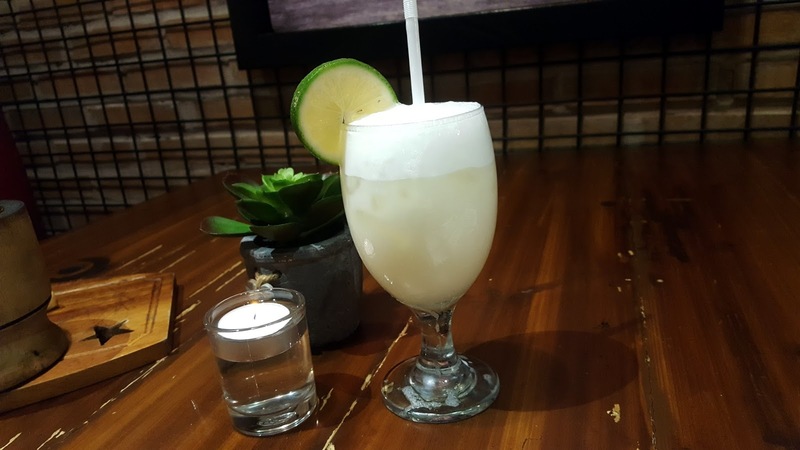 Brazilian Lemonade - lemonade with coconut milk. The coconut milk mixed with lemonade is something new for me but this drink was refreshing. 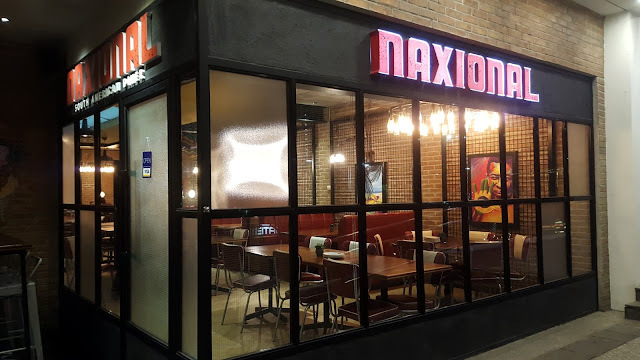 All in all, I enjoyed our dinner and that I finally got to try the dishes that are offered by Naxional. Oh by the way, besides the dishes that I've tried they also have starters, soups, all-day breakfast meals,sandwiches, main dishes, cocktails, beers, salads, desserts and sweets. 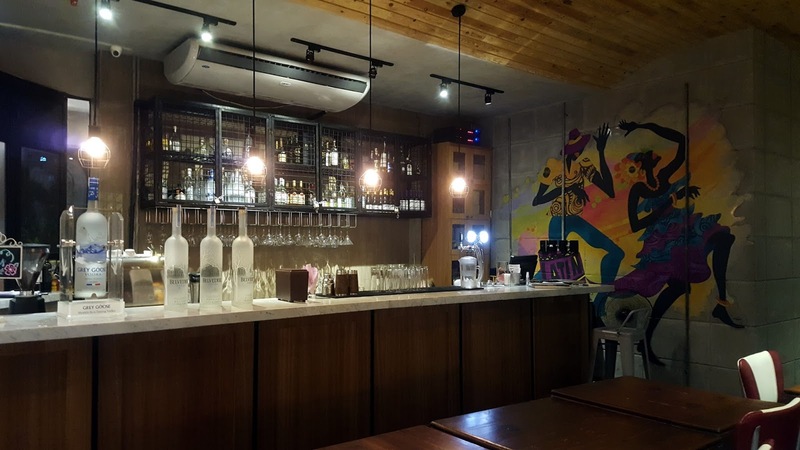 After a hearty dinner or lunch, you can also enjoy their alcoholic beverage at their open air bar right just outside the restaurant. Waiting time and the service were ok. Serving is good enough if you'll ask me. We were thinking of trying their desserts but we're already too full to the brim. Perhaps next time, since I still want to try Naxional's other dishes.